Former Pakistan leg-spinner Abdul Qadir is of the opinion that it should be left to Sachin Tendulkar to decide when he wants to retire from international cricket. While Qadir's former skipper Imran Khan has said that Tendulkar should not leave it upto the selectors, the leg-break bowler feels that it is only Indian legend who has the right to decide about his future. "I respect what Imran had said but Sachin is an exception as he is in a different league. He is like the 'Kohinoor of World Cricket'. He should have the right to decide about his future," the leggie told PTI Bhasha from Pakistan. Qadir believes that someone like Tendulkar who wears his heart on his sleeve will not delay his retirement once he knows when is the right time. 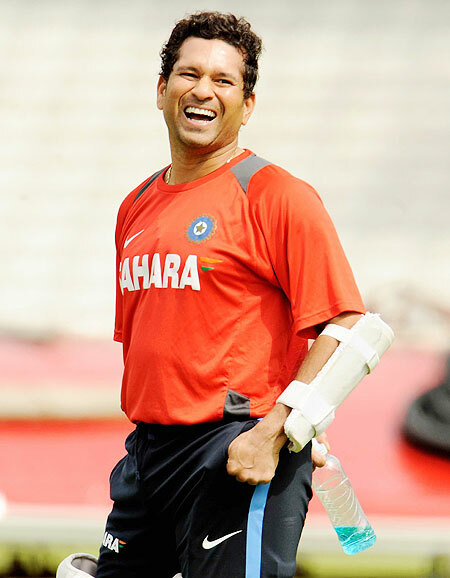 "Sachin has contributed a lot to the game. A talent like him comes once in a generation. He is patriotic and the day he realizes that he can't contribute to Indian cricket, he will retire. "His love for cricket and commitment towards country is unquestionable," said the man, who was hit by a 16-year-old Tendulkar for four sixes during an exhibition one-day match during the tour of 1989. Qadir took a dig at the critics who are calling for Tendulkar's retirement to look at his record for the past 23 years. "People who criticize Sachin should not forget that he has been playing for more than 23 years and had innumerable brilliant performances and achievements second to none. "I have played international Cricket for 18 years and I can understand the pressure to perform. People should not form an opinion on the basis of couple of failures. No one can make century in every inning," he concluded.